Coast to Coast Heating & Air, LLC provides superior quality products and workmanship to home and business owners in Marion and surrounding counties. Our NATE-certified technicians adhere to strict installation and service procedures, and are uniquely qualified to recommend the most cost-effective solutions to meet your exact needs and expectations. Whether you are in the market for a ductless air conditioner, heat pump, gas furnace, or package unit Coast to Coast Heating and Air has your air conditioning installation needs covered. As prices fluctuate throughout the year we encourage our customers to plan for possible upgrades and do it on their terms. Traditionally the best time to purchase an ac unit is the Spring or Fall. These seasons are considered “shoulder” seasons when air conditioner prices are at their lowest and manufacturers offer rebates and incentives. In addition, many local utility companies offer rebates/credits if you purchase a more efficient ac system. We take great pride in offering exceptional air conditioning installation at a great price. All of our units are sold and quoted out by our technicians, or by a member of our management staff. This allows us to give you better pricing on your new AC unit because we don’t have to pay a salesman commission to sell you a unit. Many AC companies pay outrageous commissions to sleazy salesmen who will upsell you every opportunity they get. This inflates their pricing. Don’t make purchasing a new air conditioner be like a used car deal. Whether you want an uber-efficient, high SEER ac unit, or a more basic one, we can accommodate your air conditioning installation needs at a fair price. Check out our Special Deals page for any current air conditioning deals we have available! At Coast to Coast Heating & Air, we like to set ourselves apart from the competition. We don’t want to install a new ac unit for you and then never see you again. We want to be the only AC company you ever require. We have a great group of AC installers who are very passionate about their trade and helping their customers. Our installers take great care to install your ac unit correctly the first time, but if something happens and we need to follow up, we will be there immediately. You can count on us! Almost all of our Air conditioner installations also come with a FREE one year maintenance agreement where we come to your house free of charge to make sure your unit is running properly. We don’t sell any AC equipment that we wouldn’t put in our own homes. All of the air conditioners we install are high quality and carry good warranties. Air Conditioning is a necessity when you live in Ocala, Florida, so you should purchase a product you can rely on. Whether you need a new heat pump, gas furnace, packaged unit, or a ductless mini split ac unit we have you covered in air conditioning installation. Just because they’re high quality, doesn’t mean they’re expensive. The manufacturers we work with offer ac units for every price point. Unfortunately, not all AC companies are honest and trustworthy. We have saved residents of Ocala, the Villages, Dunnellon, and Crystal River thousands of dollars in unnecessary AC repair and replacements. If another company has told you that your AC unit needs to be replaced or it has significant damage, call us! We will come out, take a look, and offer you the best solution to your problem. You may only need ac repair! 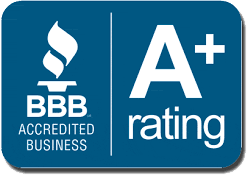 At Coast to Coast Heating & Air, LLC, we’re dedicated to serving our customers’ best interests. We make a point of doing business the proper way!